1 x Scalloped Biscuit Cutters. Make Personalised Cookies with your own Massages. Contains Cookie Recipe. 1 x Star Shaped Cutter. 1 x Letter Stamp. From the range of products produced by Tala. Size: 8mm x 6mm. *Retail Gift Boxed with Cookie Recipe* Teddy Bear Cookie Cutter Set of 2 Gift Boxed Cutter, Great for cookies, biscuits, pastry and icing too Ideal for the cake decorator at all levels Easy to use, place the cutter on thinly rolled pastry / fondant, press to cut Easy to grip lip around base of cutter Large Bear Size 80W x 80H x 20D mm / Small Bear Size 35W x 35H x 20D mm. 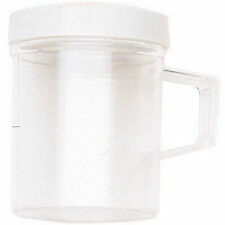 (Sizes: 1 cup / 240ml, 3/4 cup / 180ml, 1/2 cup / 120ml, 1/3 cup / 78ml, 1/4 cup / 60ml. We are committed to give better service and hope you’ll enjoy using our goods and services. DPD parcels should be signed on arrival). 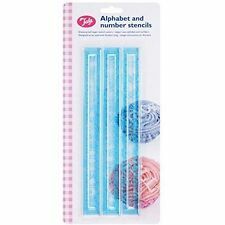 Tala Reversible 6 Piece Cutter Set. Made by Tala. Perfect for making Mince Pies, Biscuits, Tarts & Mini Quiches. You get 6 Different Size Fluted Pastry Cutters. Sizes are Displayed on each cutter. 1 x Scalloped Biscuit Cutters. 1 x Star Shaped Cutter. 1 x Letter Stamp. 7 Preset Words / Phases. 2x Icing Bottles Fresh Butter Cream Cupcake Cake Baking Decoration Hold Squeeze. Ice your own cakes, cupcakes and cookies Ideal for kids. Writer and star nozzle pattern. Stainless steel nozzles. We are committed to give better service and hope you’ll enjoy using our goods and services. Tala produces a wide variety of icing nozzles. Directions How to fill an icing bag. Hold the bag with your leading hand and squeeze down towards the nozzle to release the icing. We clearly describe the item as best as we can. Tala Alphabet Number Icing Stencil. DESIGNED TO BE USED WITH FONDANT ICING. SHATTERPROOF TAPPIT STENCIL CUTTER. UPPERCASE ALPHABET AND NUMBERS. (Has a clean surface. We are committed to give better service and hope you’ll enjoy using our goods and services. Color White. DPD parcels should be signed on arrival). TALA Plastic Animal cookie cutter set. 10 pieces Brand new never been used Great for any little baker Thanks for looking! 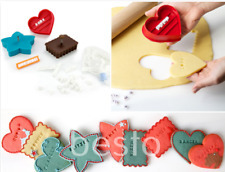 · Essential tool for use with fondant icing. Icing Alpha & Number Stencil. 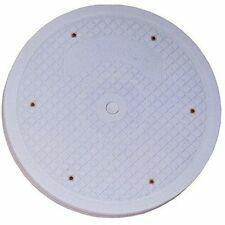 · Shatterproof tappit stencil cutter. · Upper Case Alphabet and Numbers. · Alphabet Size approx 15mm high x 15mm wide. We are here to help. 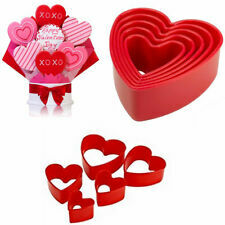 Heart Cookie Cutter Tala Valentine Plastic 5pcs Mould Red Pastry Backing Molds. Available in the Heart shapes. Depth approx. Made of plastic and very good quality product from TALA family. We are committed to provide good quality products. Marking for precise cake decoration. We are committed to give better service and hope you’ll enjoy using our goods and services. We are committed to provide good quality products. You can choose from the below. Tala Alphabet and Number Stencils. Being made by TALA these are of the highest quality. Designed to be used with fondant icing. Shatterproof tappit stencil cutters with upper case alphabet and numbers. AN ESSENTIAL TOOL FOR USE WITH FONDANT ICING FOR MAKING THOSE PERSONALISED CAKES ETC. SHATTERFPROOF TAPPIT STENCIL CUTTERS. Roll of 30 icing bags. Peppa Pig Sticker Fun. 50 Stickers. Cut to fit any nozzle. 4 X Reuseable Freeze Board Ice Blocks 200g Cooler Blocks For Lunck Box, Picnic. 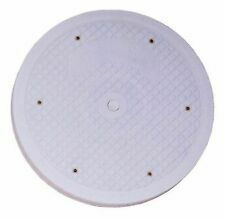 Battery Operated White Night Safety Touch Light (Push Light). When you’re finished making shapes out of dough and pastry, the cutters can be washed in the dishwasher, saving you the hassle of cleaning them. 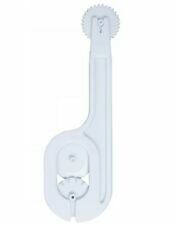 Double-sided to suit every need, these cutters are crimped on one side and plain on the other. 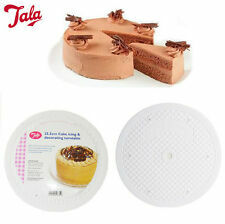 Tala Disposable Icing Bags. DisposableDual Icing Bags which are hygienic and easy to use. Our Service. Quick Links. 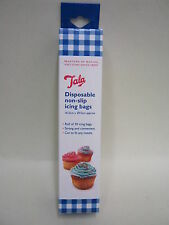 Tala Disposable Icing Bags. Strong Durable and very useable. Great for the little finishing touches. 10 x Disposable Icing Bags. Tala Disposable Icing Bags x 10. Strong Durable and very useable. Republic of Ireland. From the Range of Tala Originals. Cuts and embosses straight, wavy and stitch patterns on fondant. Wilton Wide Glide Rolling Pin 20" for Fondant and Gum Paste, Non-stick. Wilton Fancy Ring Mold Tin, Aluminium, Non-Stick, 10x3 in, Baking Pan Tray. 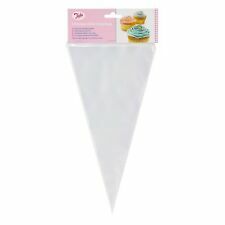 Make every cake picture perfect with the detail and precision of icing bags. How to fill an icing bag. TALA REVERSIBLE PASTRY CUTTERS. PERFECT FOR MAKING MINCE PIES BISCUITS. SET OF 6 PLASTIC DOUBLE EDGE CUTTERS. TARTS AND MINI QUICHES. ;This set comprises an easy action icing syringe made from strong plastic, with a built in adaptor to allow easy changing of 6 nozzles, covering a wide range of pattern definitions. 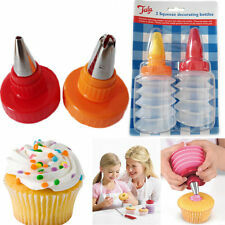 This Icing Screw is a handy gadget that enables you to use a variety of icing nozzles with an icing bag. Simply attach the coupler to the bag and then feed the nozzle through. For use with Tala non-threaded icing nozzles. From the range of products produced by Tala. Featuring a non-slip base and a removable top for easy cleaning. Can also be used as a Cake Stand for presentation. Removable top for easy cleaning. If there's a problem, just let us know and we will fix it. 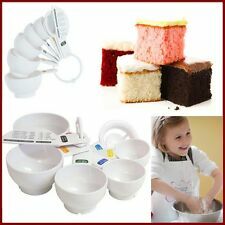 NEW CHILDREN'S PASTRY BASH & ROLL KITCHEN TOOL KIDS BAKING TALA SALE ! Tala - Kid's Pastry Bash and Rol. Bash the dough with one side then roll out with the other. Making pastry has never been so much fun! I'll never be a millionaire. This will be done asap but within 24 hours. BNIB Letterpress Cookie Cutters Alphabets Biscuit Decorating Stamp Set Brand New - Unwanted gift Happy Bidding!!! Tala Cookie Cutter Set. 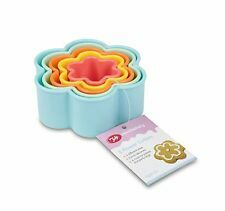 Tala cookie cutter set, containing All you need to make a delightful array of cookies! We do not under declare values, or mark goods as a "gift". Man ,woman (both 8 cm tall),star andheart cutters (6 cm across at widest point). Each cutter is double ended to make plain or scalloped shapes. Cutter set. cutter sizes 48mm; 58mm; 68mm; 78mm; 88mm; 98mm. 2/ CAKE TOPPERS & CANDLES -A huge selection to make your cakes stand out from the crowd. Tala Rolling Pin. Non -Stick Surface enables you to roll out your pastry or dough with less flour. Soft Grip Handles. Set of two dual icing bottles made by Tala. Each bottle is made up of two individual half bottles that can be filled with two different colours of icing, creating a wonderful effect when used to decorate cakes and cookies. Strong Durable and very useable. For crafting sugarpaste or marzipan. Being made by TALA these are of highest quality. 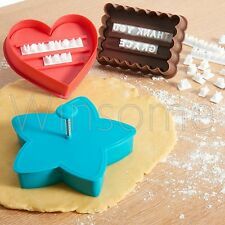 Includes 4 double ended icing tools each with a different shaped tool on either the end. the more the reduction. For crafting sugarpaste or mazipan. Being made by TALA these are of highest quality. Includes 7 double ended icing tools each with a different shaped tool on either the end. This is because when occasionally there has been a problem I have always tried to sort it out! Each cutter is double ended to make plain or scallop shapes. Reversible 6 piece cutter set. Cutter sizes: 48mm/ 17/8", 58mm / 2 1/4", 68mm / 2 5/8", 78mm / 3 1/16", 88mm / 3 7/16", 98mm / 3 7/8".